Recipients will receive exclusive offers, promos, and WR news! 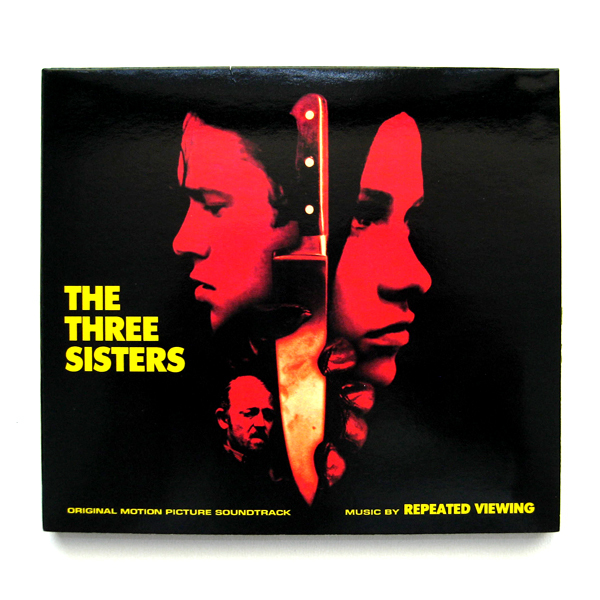 Repeated Viewing (Alan Sinclair) returns to WR with his first original film score for Irish director Dáire McNab‘s modern day neo-giallo murder mystery movie: The Three Sisters. Both the film and the soundtrack are inspired by the golden age of Italo-horror cinema, the long lost Giallo genre, which has been making a savage comeback in recent years in both music and movie making. The Three Sisters score maintains a purist aesthetic, remaining true to the sounds of the original horror scores of the 70s and 80s (think Goblin, Fabio Frizzi, Libra, Stevio Cipriani, Carlo Maria Cordio). And to make things even more fun, we’ve curated an additional four bonus remixes to add to the package which includes mixes by Antoni Maiovvi and Vercetti Technicolor (of Giallo Disco Records), Umberto and Night Sequels (of Attacknine Records). So grab your popcorn, turn the lights out and prepare yourself for some spooky listening! • CD Limited to 300 copies in gloss finished six-panel digipak cases. All music written and performed by Alan Sinclair. Tracks 1-9 mastered by Ruaraidh Sanachan. Tracks 10-14 mastered by Brian Grainger. Design and layout by Eric Adrian Lee. © MMXV Wil-Ru Records, all rights reserved. Repeated Viewing – The Three Sisters Original Motion Picture Soundtrack LP Out Now! CN – The Derelict LP/Digital Album Out Now. High Tides CD + Air Freshener Out Now! Repeated Viewing – Three Sisters Main Titles (Digital Single) OUT NOW.